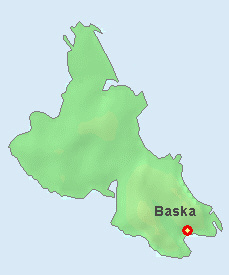 The main island road which curves for 40 km in the direction north-southeast-east ends in Baska. 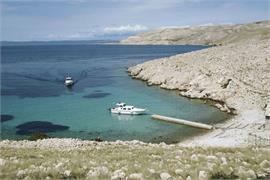 That way, Baska can be considered a place “at the end of the world,” and it is known that such places have to be visited. 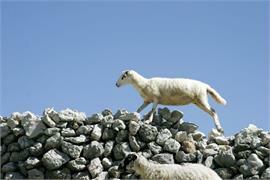 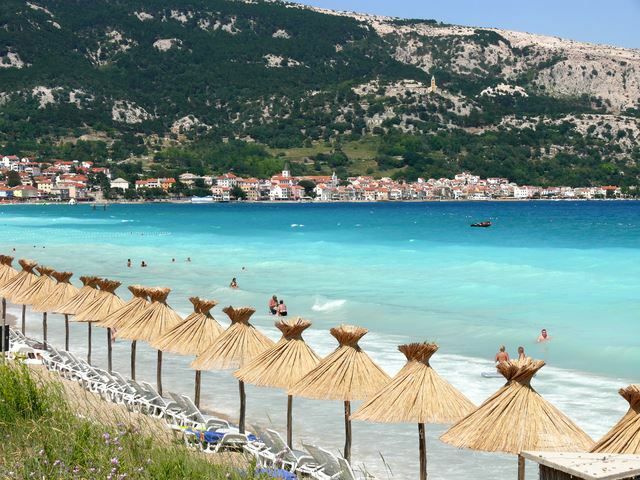 Accordingly, you shouldn’t think for a moment whether you should come to Baska. 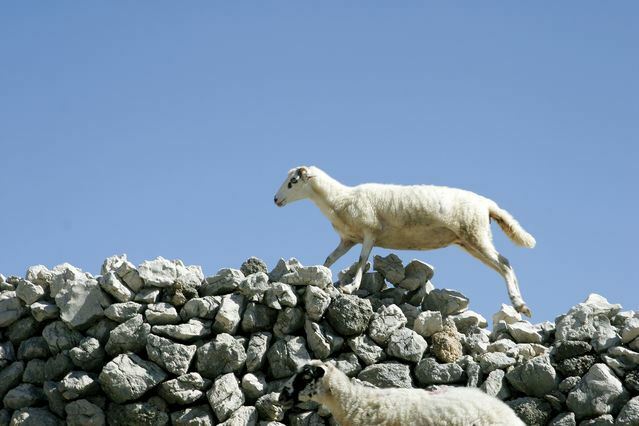 You simply must! 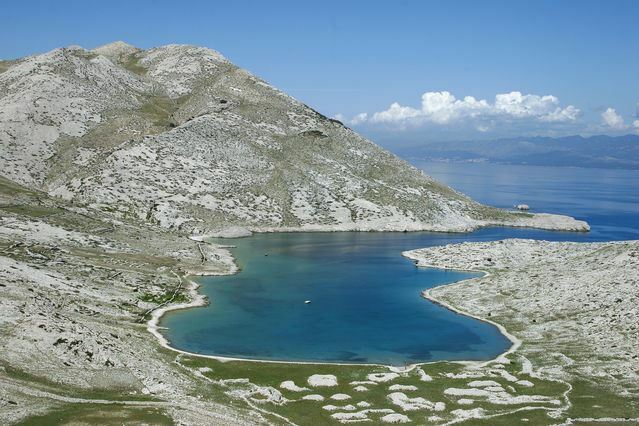 At one point, the road will lead you only along the basin of the only river on the Island of Krk which is named Vela Rika ("Big river"), even though it often dries up. 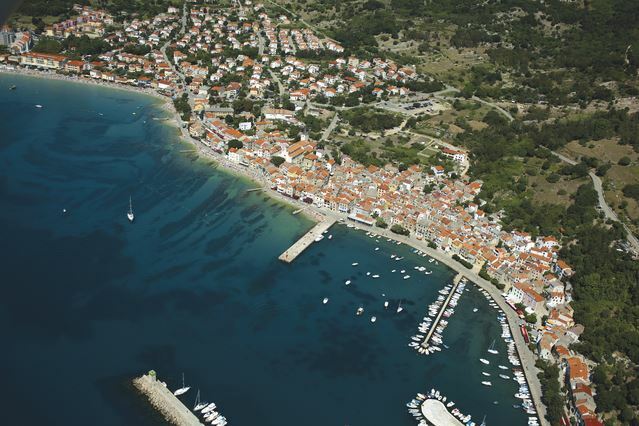 You will cross two bridges and passing through a big road curve, you will notice the water mill which used to power millstones, ground wheat and produced flour. 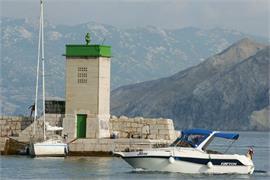 It was not that long time ago: the island of Krk remembers harvests some fifty years ago! 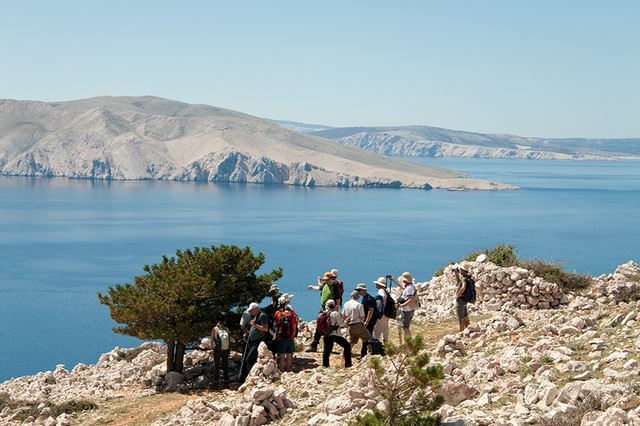 Vela Rika and the road come together at the sea delta right before Baska. 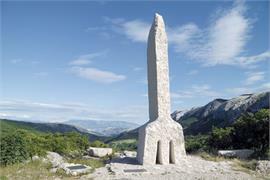 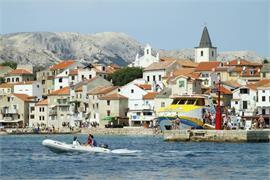 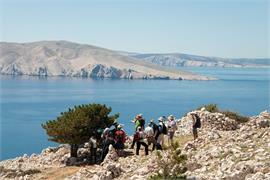 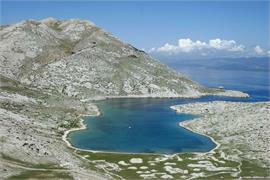 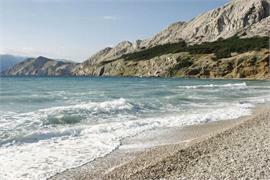 And from the sea, the real source of existence of Baska inhabitants, the tourism, can be seen. 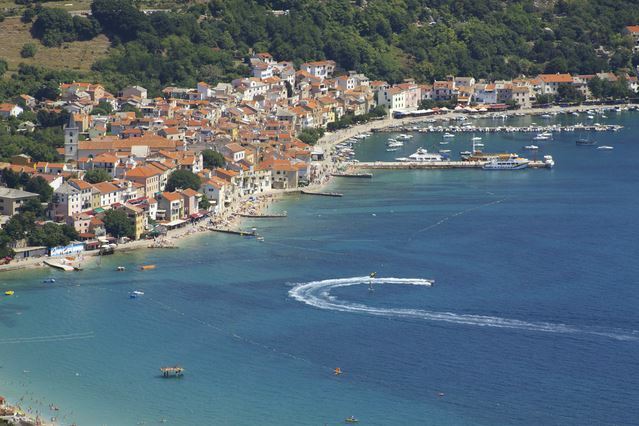 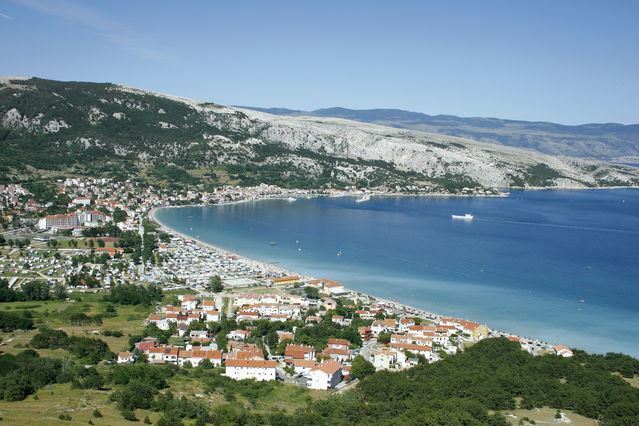 The whole town formed a semi-circle like a crescent along Baska beach, the 2 km of the fine pebble beach which is to be thanked for the popularity of Baska as a summer holiday spot. 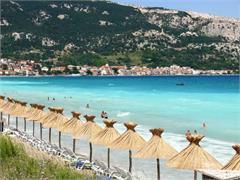 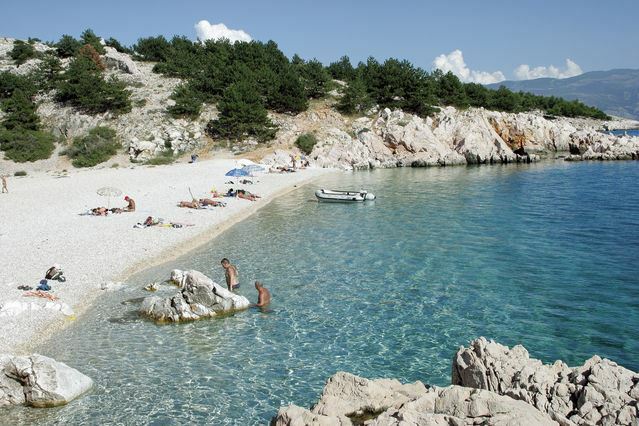 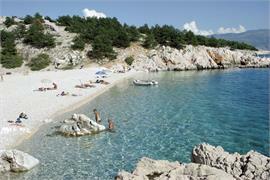 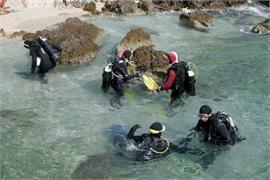 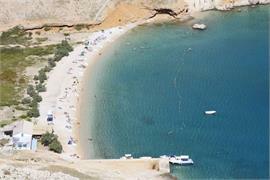 Baska beach, the beauty of the town and its surroundings was discovered by Czechs. 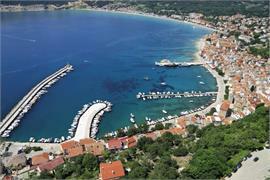 Director of Prague newspaper, Emil Geistlich was in Baska on business, to write a story. 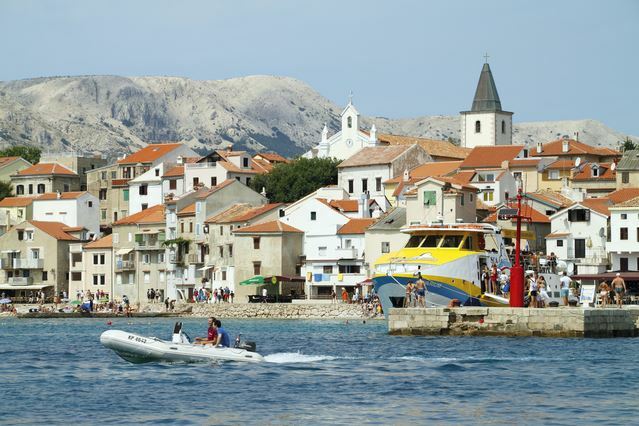 His impressions of Baska were very strong, and the published story, full of author’s inspiration, attracted numerous Czech tourists to Baska and they remained very loyal even today. Baska also attracts visitors from around the world - Baska's "Blue Bar" on the Baska beach was named as one of ten best beach bars by the British "Times Online" newspaper in their article Shaken and stirred at the 10 best beach bars. The long, beautiful beach, equipped with numerous possibilities for recreation, is on of the more important reasons to come; the beauty of the places you will walk through reads like a school book of sea architecture. 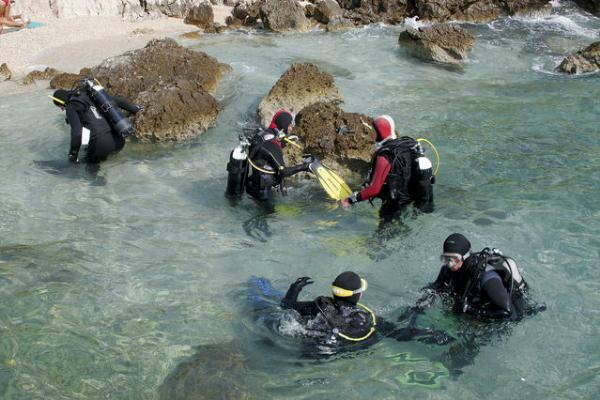 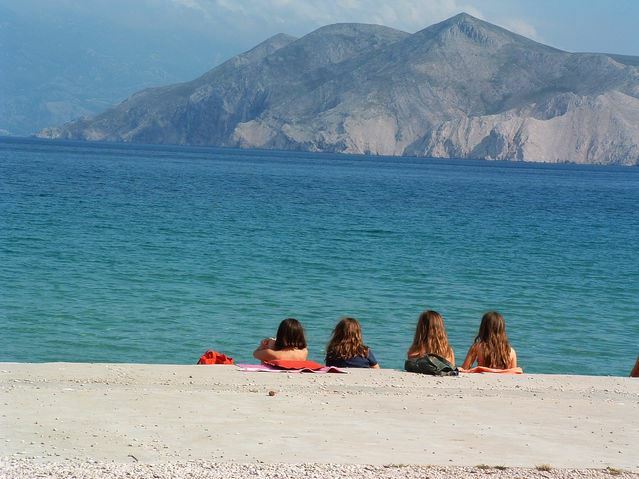 In Baska, as a town “at the end of the world,” there are possibilities for field trips on a boat to other islands (uninhabited Prvic, nearby Grgur and Goli, and to Senj on the mainland). 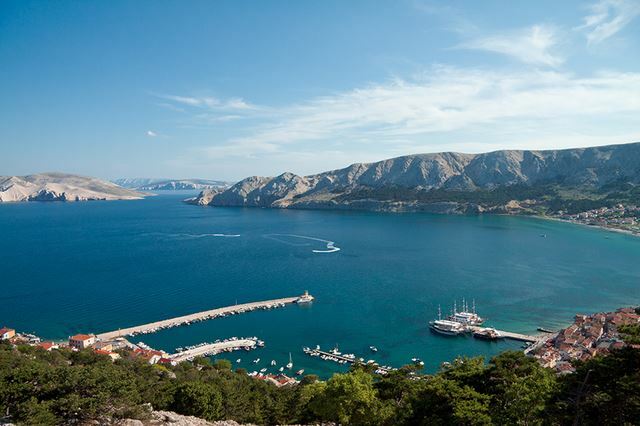 The mountainous outback of Baska can be explored by walking with clean walkways, while the braver ones can try the climb near Baska. 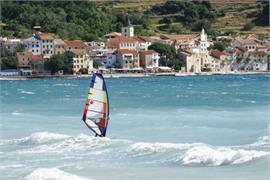 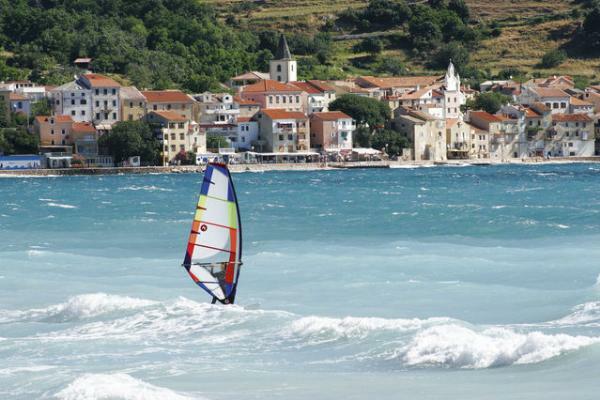 Baska has accommodation capacities of high category - Baska hotels are up to four stars, and there are also numerous apartments, rooms and private villas as well as camps. 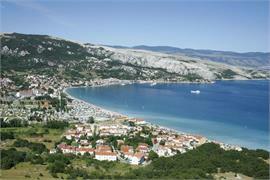 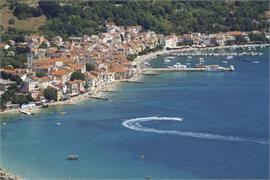 Hotels in Baska also offer the possibility of holding congresses, seminars, lectures, and business meetings. 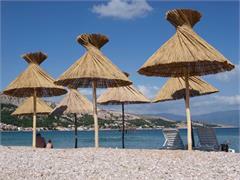 The halls are air conditioned, equipped with all necessary technology and aids. 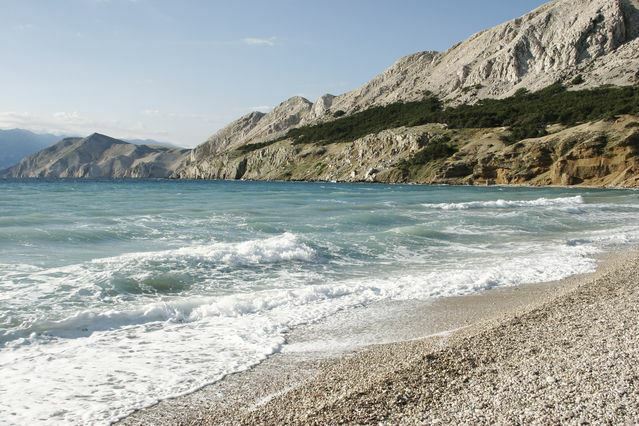 In the wellness centre of the Hotel Corinthia you can try out the impact of the Mediterranean plants essences. 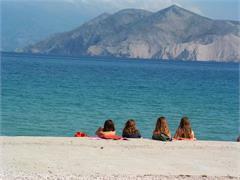 This wellness centre offers different recreation programmes, fitness, pool, saunas, Jacuzzi, beauty treatments, different baths, massages, aroma therapy, spa saunas and cosmetic treatments for face and body care. 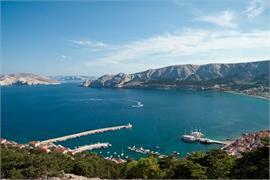 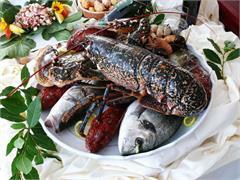 Of course, a place like Baska offers a truly diverse gastronomy selection and creative entertainment. Nevertheless, those are details which we will not reveal here: we leave it to visitors to Baska to discover it themselves, to make a selection according to their own taste and to let themselves to it completely when they decide to visit Baska – a place "at the end of the world" not to be missed.